Perlara BPC has selected Mucolipidosis Type IV as the next disease to screen using its simple-models drug discovery platform. Perlara Biotech, with funding by Novartis, uses simple model organisms to screen for drug treatment compounds. Noting the exceptional quality and collaborative nature of the ML4 research community as assets to biotech partnership, Perlara and the ML4 foundation are excited about this engagement. Learn more about Perlara. Watch a video about last year's incredible ride! Once again the revolutionary Orphan Disease center at the University of Pennsylvania has offered us an outstanding proposition: raise $25K and they will double the money raised and give us a $50K grant to pay one scientist for a year to research a treatment for ML4! On May 20, 2017 a bike ride will take place at UPenn, where thousands of Orphan Disease supporters will gather to ride in support of research. Some of our board members will lead our own team and you can sponsor them! We hope that you will make a gift to this fund. Your contribution is matched dollar-for-dollar by UPenn and 100% of the money goes to a researcher who, after a peer review proposal process, is selected for having the best treatment project in ML4 science. What an exceptional investment! Learn more and donate here today! Young professionals from Young Israel of Toco Hills and from The Sixth Point gathered in Atlanta on March 23rd to share great food and sample delicious wines before Passover and to learn about Mucolipidosis Type IV research. Randy and Caroline Gold, president and secretary of the ML4 Foundation, hosted the lively event, which helped people learn about genetic testing as well as exciting developments in ML4 science. A portion of the proceeds support ML4 research. 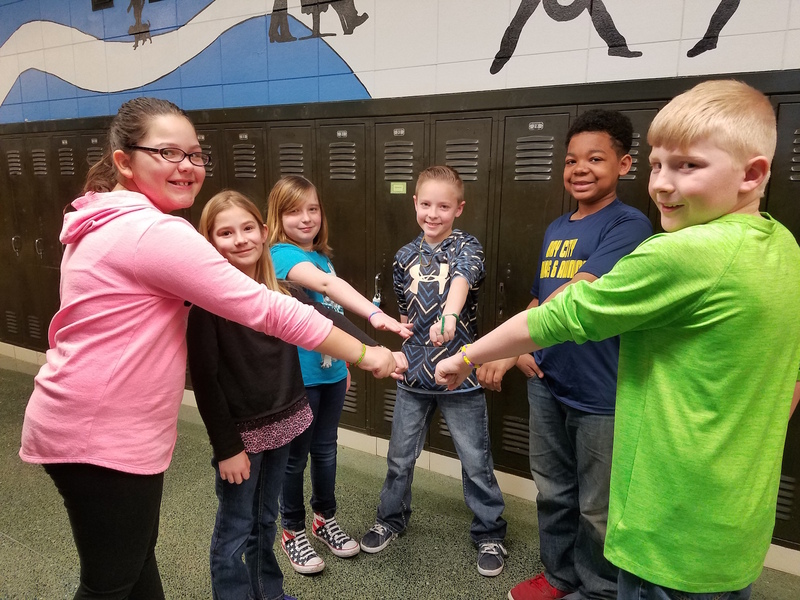 Angela Rousse expressed shock and delight when she learned that six students had been secretly making bracelets and selling them to peers to raise money for ML4 research. Each of the students know Austin Rousse, Angela's adorable 4-year-old son, who has ML4, and they were moved to help, even in a small way. After raising over $120 (so far!) they shared the news with their teacher, who has had a candy bar sale ongoing all year long for the Foundation. No act is too small to teach kindness, giving, and support. We are so grateful for their efforts and their love!